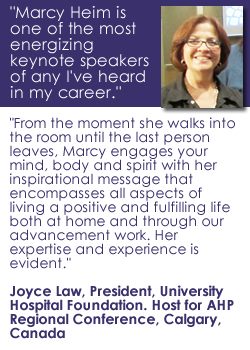 Marcy has obtained her Professional Life Coach Certification through the UW Madison and in association with the stringent requirement of the International Coaching Federation (ICF). 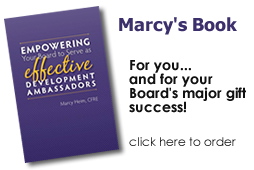 Marcy combines these coaching tools with her experience in building major giving relationships to work with both individuals and organizations to maximize performance and self fulfillment. Marcy has structured her packages to be available for an urgent need for support as well as long-term organizational change and growth. This session is for you if you need immediate personal support and clarity on an urgent timeline! Limit: One of these sessions in a calendar year. Encouragement and support. I believe in you! This plan is for you if you want long-term significant mindset shifts, changes in your major-gift results, and your overall performance and accomplishments. Twelve months of coaching: You choose session lengths totaling 60 minutes each month. Confidential consultations on specific individual major gift prospects to create and implement donor actions plans and the role of the VIP in these plans. 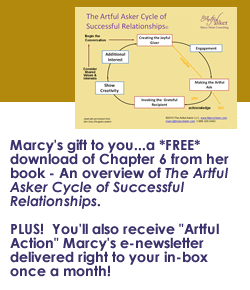 Membership in Marcy’s Major Gift Success Club for you or a member of your team. Unlimited email coaching with response within 24 hours to pressing questions. Call 1-888-324-0442 for more information about which package fits you and rates, or email info@marcyheim.com to set up a Get-Acquainted call with Marcy.